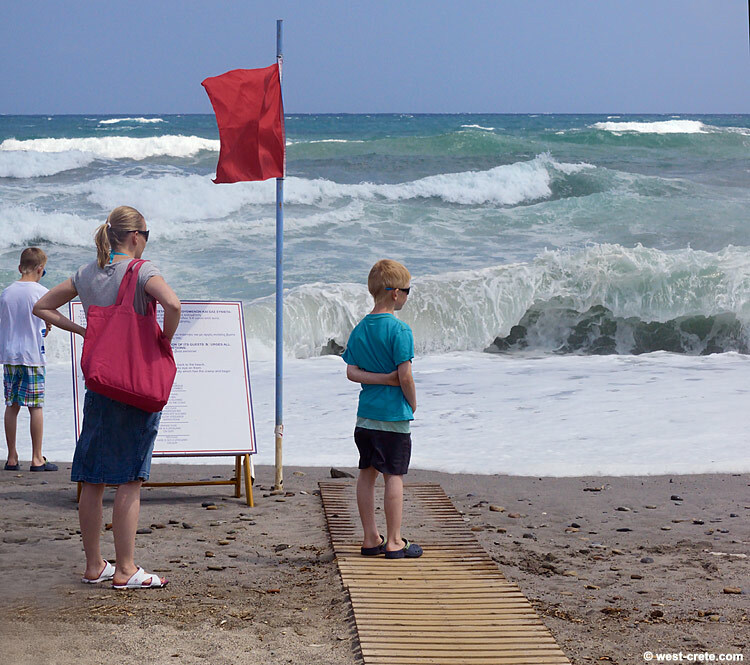 The beaches to the West of Chania like here in Platanias are quite open to any weather coming from the North and the sea can easily get quite rough. Today, nobody was swimming there. By the looks of it, some were a bit disappointed.